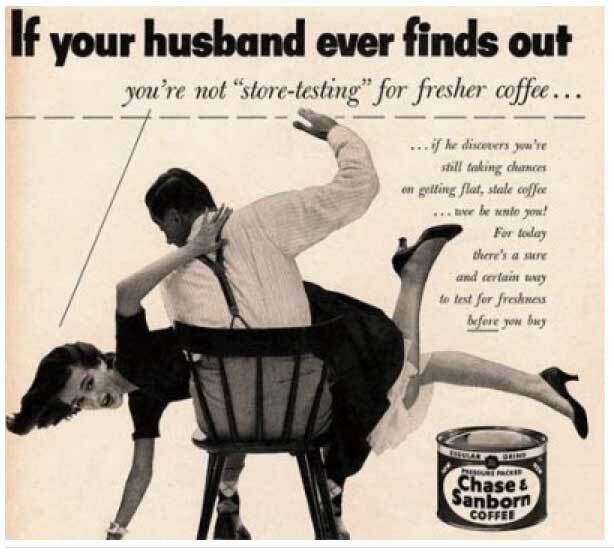 I was looking at design styles of vintage ads when I came across these gems. It’s been said that advertising is a window into a society’s culture. 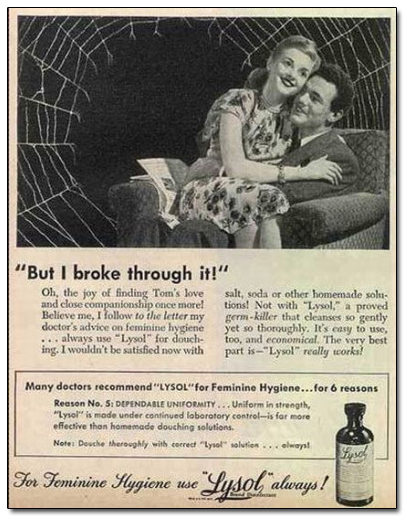 If these ads are an indication of North American culture in the 1950s, then it is no wonder that Women’s Lib took hold in the 60s and 70s, and that bra burning became a favourite past time of feminists. Not to mention the outrageous uses for various products! Thank goodness we have Tim Hortons now. Lysol as a douch & birth control. Seriously? 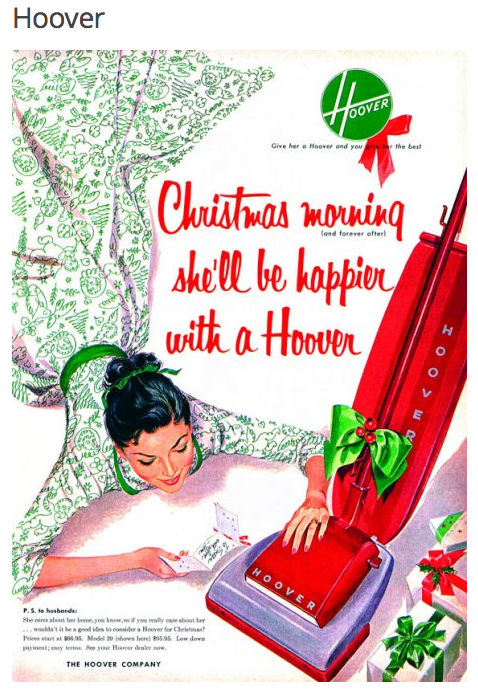 If Santa brings me a Hoover I’ll stop believing! 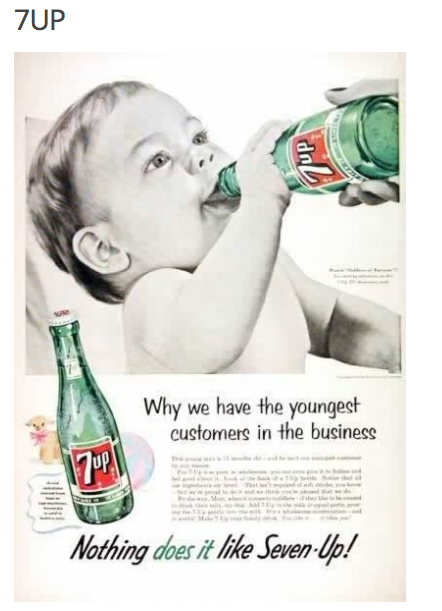 Did people really believe it was OK to feed their babies 7 Up?